#100625 - Unlimited Custom Colors! This Short Run Color Cardstock is smooth and the thickness is 7 pt. and is for laser desktop printing. With this material you can produce printed images on vibrant and colorful cardstock. It is commonly used for greeting cards, social and business invitations, and announcements. 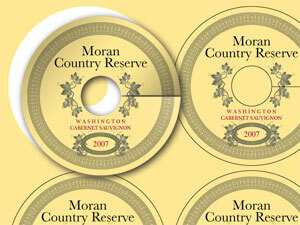 It features a 0.125″ white border on every sheet, which does not affect internal diecut tags. Both sides are tinted. Price includes die cutting sheets up to 30 cuts (see Plus Charges for additional cuts) with any shape or size.